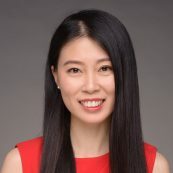 As a development and marketing professional with seven years experience in international organizations in the private and nonprofit sectors, Jia co-founded Engi.NEW.ing, a youth leadership training company in China. She recently served as an Atlas Corps fellow at PYXERA Global in 2016. Prior to that, she worked as a development and marketing manager with Heifer China where she was responsible for cultivating champions for its mission, which focus on ending hunger and poverty. Jia also worked as a development associate with Teach For China to advance educational equality. She began her nonprofit journey as a volunteer with Warm Heart in rural Thailand in 2013. Before working in the nonprofit sector, Jia worked as a account executive with a international advertising agency. Jia holds an MA in Communications from Leeds University in the UK and she is passionate about youth development.